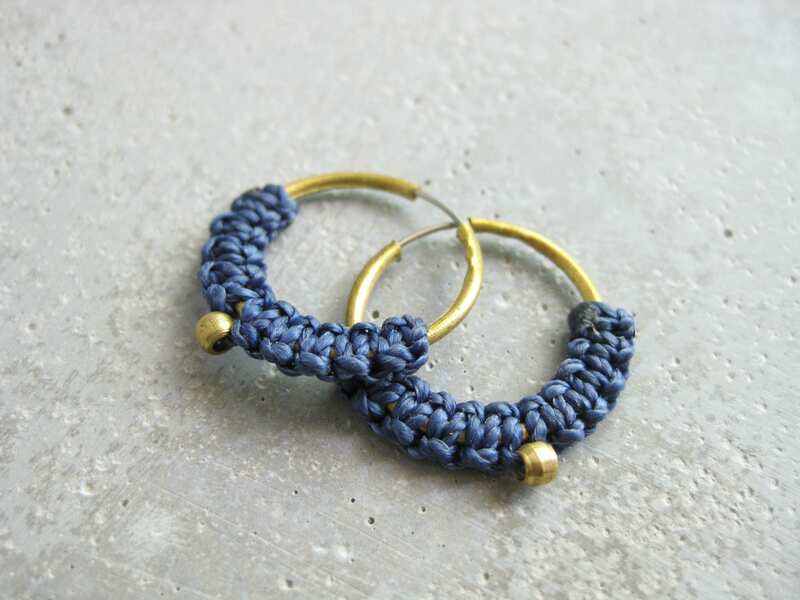 Iara Hoops . 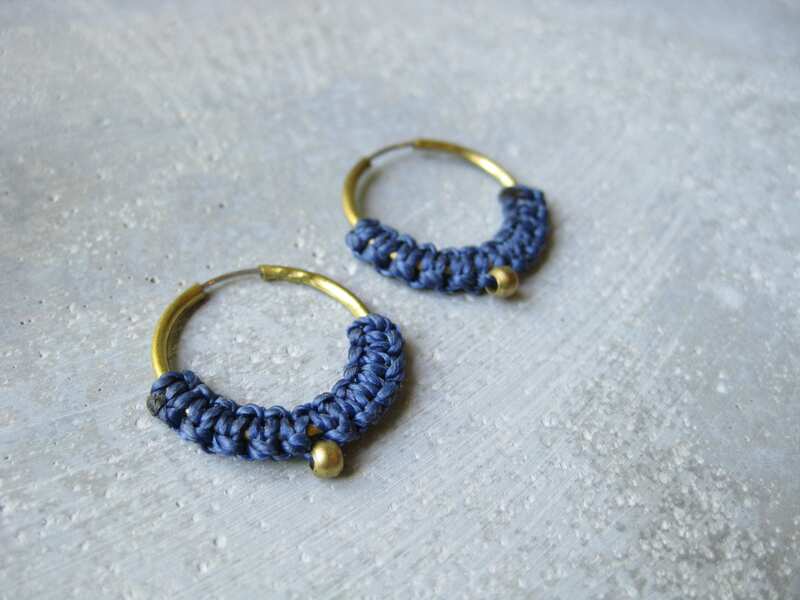 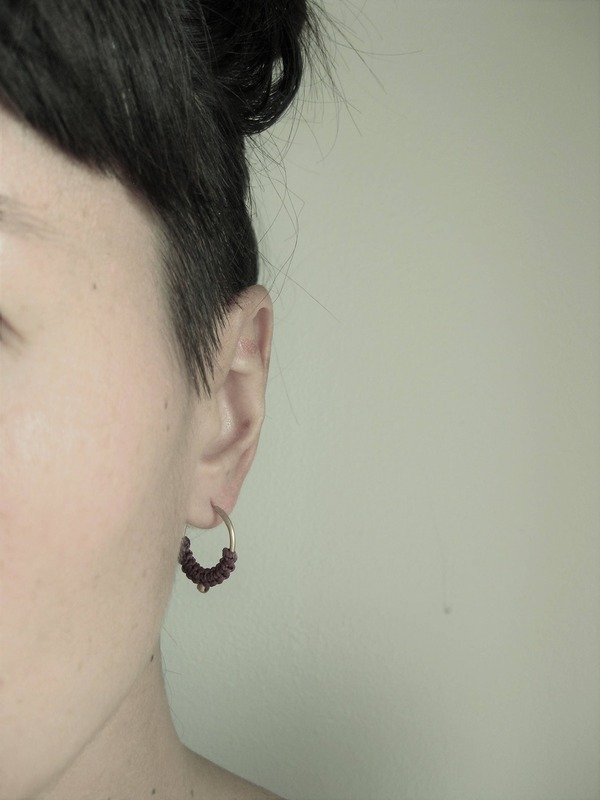 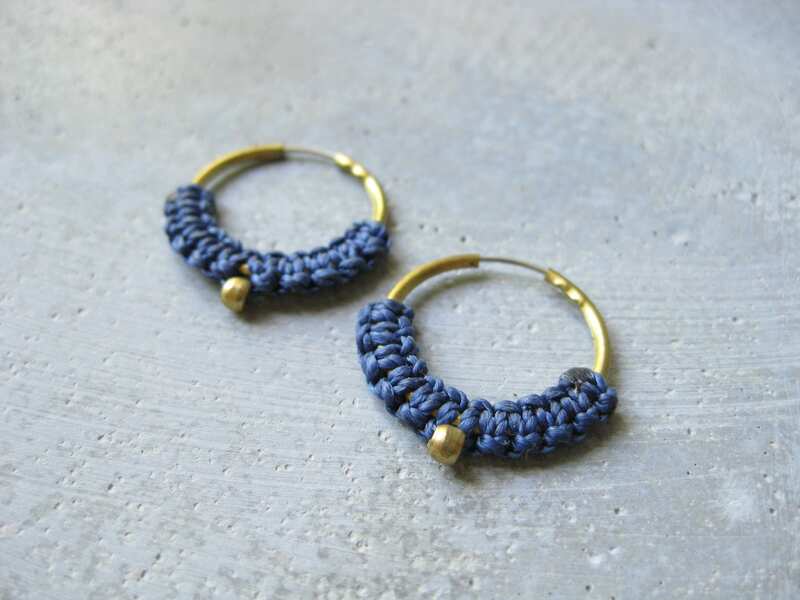 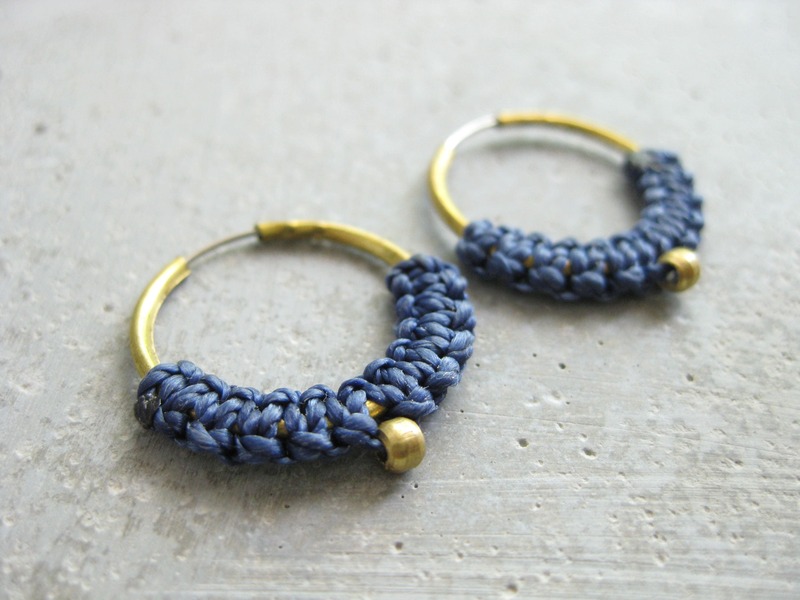 © Design by .. raïz ..
Small minimalist macrame fiber hoop earrings in navy blue and gold tone (brass). 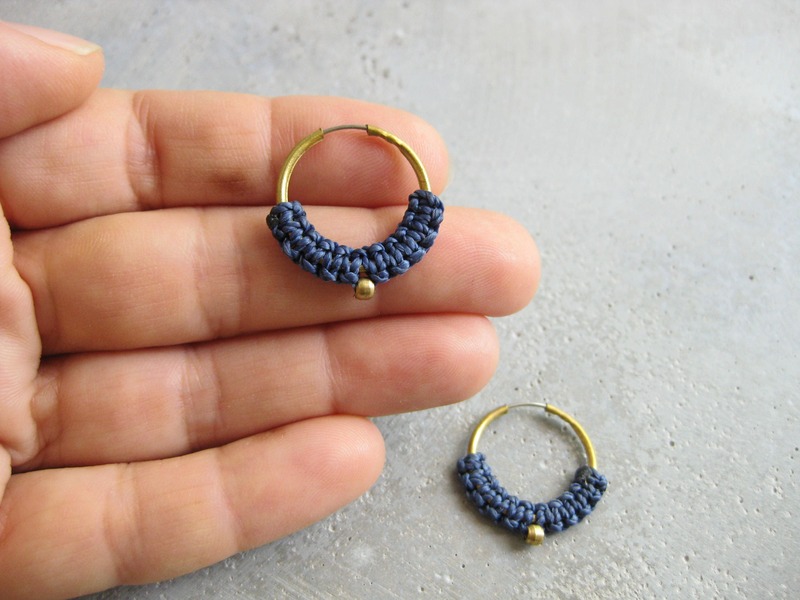 A simple and dainty complement to any outfit from casual to chic!